A few months before the presentation of Apple, it became clear that the company will call its smartphone with OLED-display somehow in a special way. And it happened. The first iPhone with an OLED display was named - iPhone X, in honor of the anniversary of the original iPhone 2G, which in the summer of 2017 turned ten years old. Thus, Apple theoretically jumped over one generation of iPhone - iPhone 9. However, the chance that in the future will be presented to Apple's smartphone with this name to exclude, of course, is not worth it. For the first time in three years, Apple decided to seriously change the design of its smartphones. The iPhone X is fundamentally different from the previous models. The back cover of the smartphone is made of reinforced glass, and not of aluminum, as before. Due to the transition (or rather - the return) to the use of glass Apple managed to significantly refresh the look of the iPhone X. True, the glass panels of the iPhone X are not ordinary. They are both made of the most durable glass ever used by Apple in its devices. The color on the panel is applied in a special way in seven layers. Only so the engineers of the company were able to achieve the correct shade and the necessary density. In addition, the final reflective optical slot makes the color of the glasses as saturated as possible. Both the front and rear windows of the iPhone X are covered with oleophobic coating. Dirtying them is problematic, but even in this case, fingerprints and stains are removed very easily. The element between the glasses is impressive no less. The construction of the iPhone X case is strengthened by a steel frame made of a special stainless steel alloy. The alloy is of the highest purity, beauty and strength. Changed and the shape of the case of the iPhone X. It became more elongated, which was due to equipping the smartphone display with a ratio of 19.5: 9. However, the iPhone X remained similar to its predecessors and did not lose the classic and recognizable look for Apple's smartphones. The main changes in the design of the iPhone X on the front panel. Around the display smartphone almost completely missing the frame, and not only lateral, but also the bottom. Together with the bottom frame, the iPhone X did not have the traditional physical button "Home". The upper frame also changed. On its sides are made original cutouts for the screen. On the remaining from the upper chamber of the substrate is presented a whole scattering of sensors. It housed: a speaker, a microphone, a 7-megapixel camera, a point projector, an ambient light sensor, a proximity sensor, an infrared emitter and an IR camera. The dimensions of the iPhone X are equal to 143.6 × 70.9 × 7.7 mm. 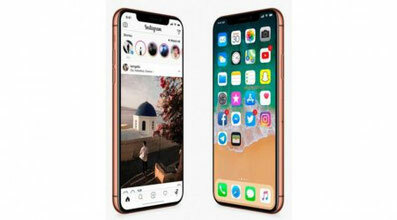 The size of the iPhone X is slightly larger than the iPhone 6/7/8, but smaller than the Plus-models. iPhone X is released in two colors: silver and "gray space". Note that for the steel frame of the iPhone X in the color "gray space", Apple used the process of vacuum deposition. Thus, it was possible to achieve an ideal exact match of the color of the frame and the color of the glass on the rear panel. iPhone X received a huge 5.8-inch OLED display Super Retina HD. Apple first equipped its smartphone with an OLED display - before that, all iPhones had liquid crystal displays. The OLED display of the iPhone X has many advantages over the LCD displays of the previous iPhone. It has better color rendition, increased contrast and much more intense colors. In addition, OLED-display consumes less energy, which will favorably affect the autonomy of the iPhone X. The display of the iPhone X has support for True Tone color temperature adaptation technology, which first appeared in smartphones. True Tone technology provides for the use of four-channel illumination sensors in the display. They monitor the state of ambient light and automatically change the color temperature of the iPhone screen. Due to the True Tone technology, reading from the iPhone X display is comparable to reading a regular paper book. At the heart of the iPhone X is the system on the six-core processor Apple A11 Bionic. The four A11 Bionic cores are efficient, and the remaining two are productive. However, if the iPhone X needs more production capacity, the central processor starts using all six cores to perform the tasks. The efficient A11 Bionic cores are 75% faster than the Apple A10 Fusion, which is equipped with the iPhone 7 and iPhone 7 Plus, and the productive ones are 25% faster. The A11 Bionic's availability of four efficient cores makes it possible for iPhone X to cope with everyday tasks with little energy. When the user loads the smartphone more strongly, then the productive cores will enter into the matter with full activity. iPhone X is equipped with an ultra-accurate face ID scanner. With the help of Face ID, smartphone owners can either unlock the device or verify their identity when shopping in the App Store, iTunes Store or regular online stores through Apple Pay. The infrared camera reads the dot pattern and creates an image in the infrared spectrum. After that, it sends the image to the Secure Enclave module. By creating a Face ID, Apple provided protection against accidental unlocking of the iPhone X. 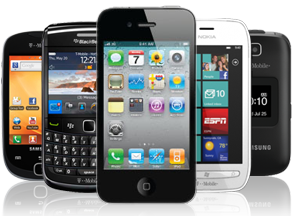 The scanner technology will only remove the locks when the user specifically looks at the smartphone.